Large 4 bedroom plus office, with 3 full baths, on over 5 acres. 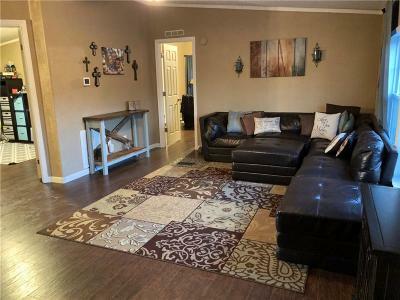 Interior has been remodeled, ceramic tile in kitchen and baths, wood in living areas, and new carpet in 3 secondary bedrooms. New roof 2015. New Low-E windows throughout. Upgraded Heat/Air system 2018, now dual zoned. Property is fully fenced with drive in gates, and fenced in pastures. Above ground pool with deck. Dog kennels, three outbuildings, STORM SHELTER and a 3 car garage. A must see in Jones school district!